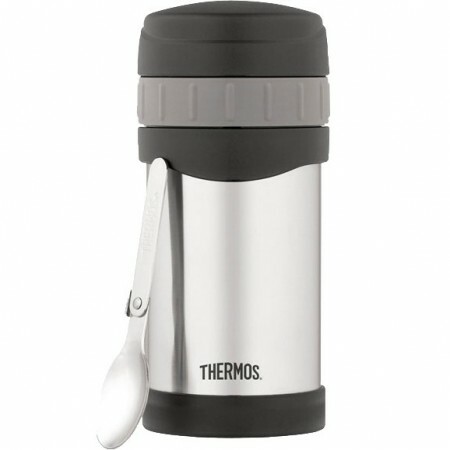 This Thermos Wide Mouth Food Jar features built-in storage compartment with folding spoon and is great for carrying with you on-the-go. Keep your food cold in summer or fill it with hot soup in winter. 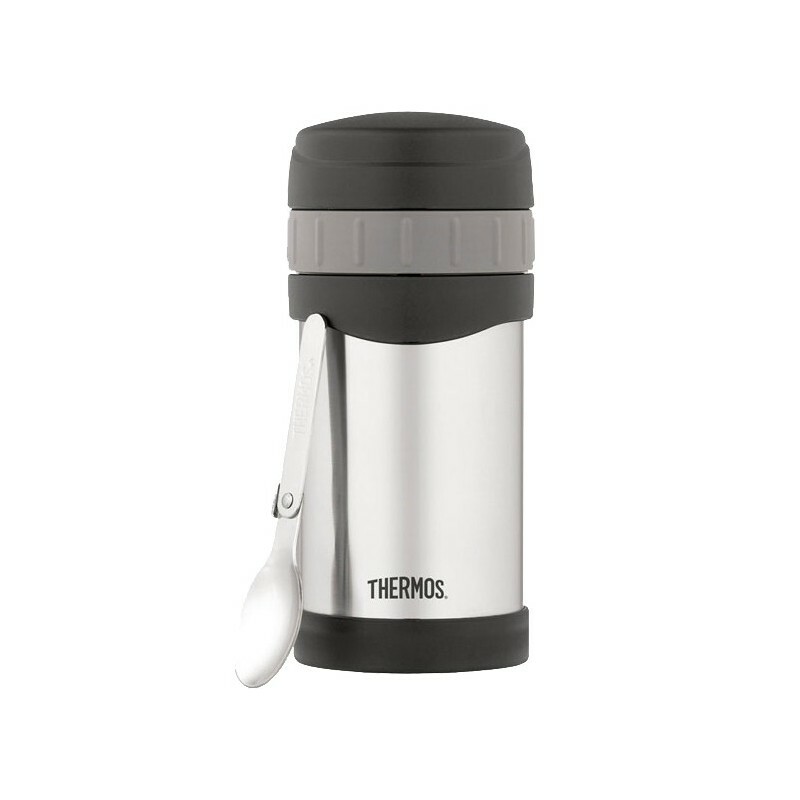 Thermos vacuum insulation virtually eliminates temperature change by creating an airless vacuum space between two stainless steel walls. A superior insulated container you can depend on to keep your beverages and food hotter, colder and fresher longer. All plastics used for Thermos Food jars are BPA free. Double wall vacuum insulation for maximum cold or hot temperature retention. Foogo® products keep foods and beverages safer and healthier longer. Keeps food cold for up to 9 hours and hot for up to 7 hours. Cool to the touch with hot foods. Ergonomically designed lid with rubber grip. We use ours hot or cold, it will keep your yoghurt or fruit salad cold just as long as it keeps your soup warm. Don't bother with cheap imitations. So happy with this buy for Winter work lunches. Keeps food hot until lunchtime if pre-heated. Great for soup and left-overs.